It seems I am now left with readers with an interest in ambience and drones so I will focus this writing towards you. I have the pleasure to introduce to you Evgeny Voronovsky who has been known as Cisfinitum in the music scene for several years now. He released some very nice works in the past, amongst others a 10" on the Drone Records sidelabel Substantia Innominata and a collaboration on Ewers Tonkunst with none other than Rapoon (ex Zoviet*France). You will get the point I am trying to make, and this is that you can expect deep solid emotion driven soundscapes of high quality where the experiment isn't being shuned. The perfect ingredients for music too keep you "happy" and worth listening many times. So why is "Nevmenosis" a good place to start if this all sounds appealing to you? It's mainly because this album has "a bit of everything". The first two tracks have been previously unreleased, the third track "Dissolutio" is from the collaboration with Rapoon and the final three tracks have been previously released on compilations. And without a doubt, even though they prabably all have been written in a different context - with a different concept in mind - the whole CD sounds solid and uniform. 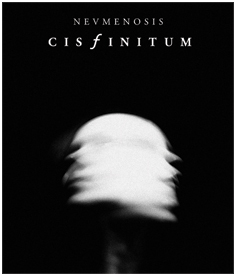 As said, concerning Cisfinitum, this is the place to start.